I took a silver fusing class this week. 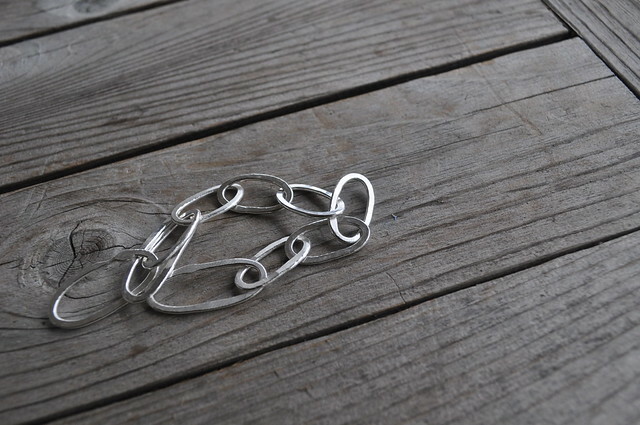 We used fine silver and a small butane torch to fuse rings and then make chains and texture them. It was surprisingly easy and not at all scary and lots of fun. 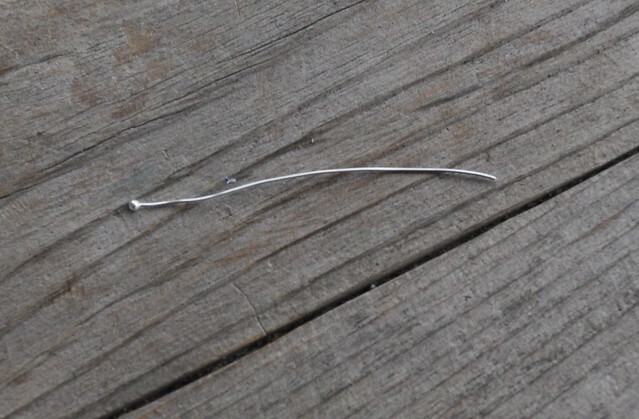 First we made headpins with a balled end. 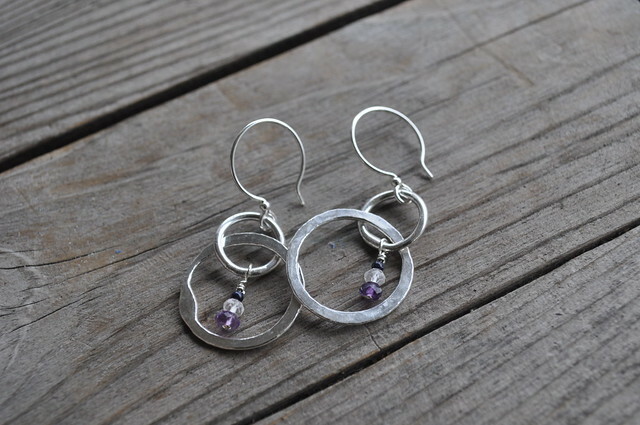 You can place a bead on them and then wire wrap them to add to jewelry. They are beyond simple to make. Take fine silver wire and hold it in the flame. The end melts into a ball. Voila. 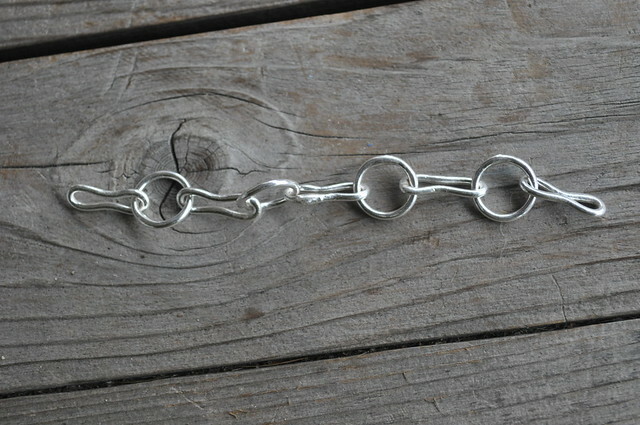 If you want a bigger ball, hold it longer but remember to start with a longer piece of wire. Then we learned how to make fused rings. We hammered them to flatten or give them texture. Then we make chains of rings. 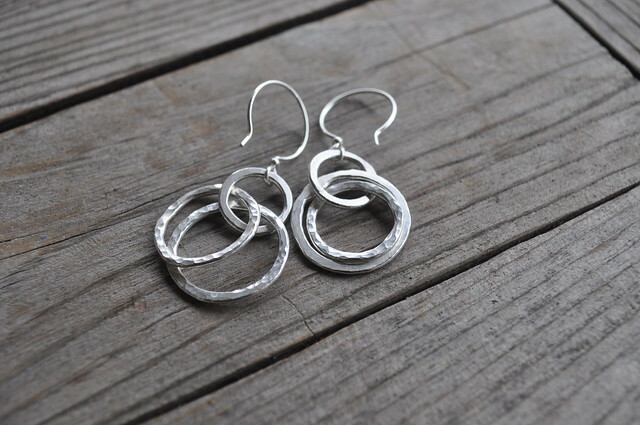 The rings are very soft and easy to shape into ovals, squares or whatever you like. The pieces all got to spend some time in a tumbler to shine them up and work harden them. We got a lot done in 3.5 hours! Everything we worked on is covered in this book from Interweave. I've been busy knitting too. 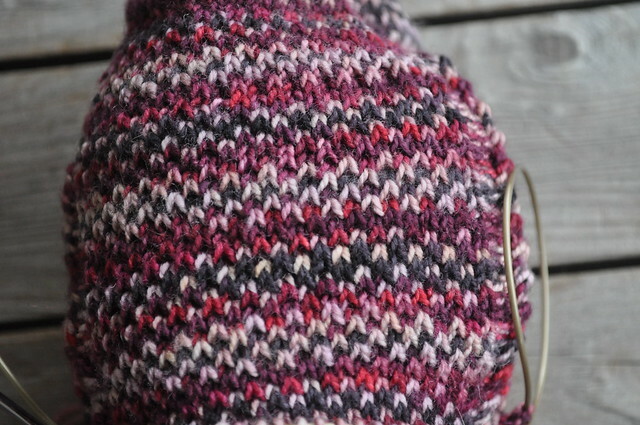 I started another pair of socks for the Sock Stash Knitdown. 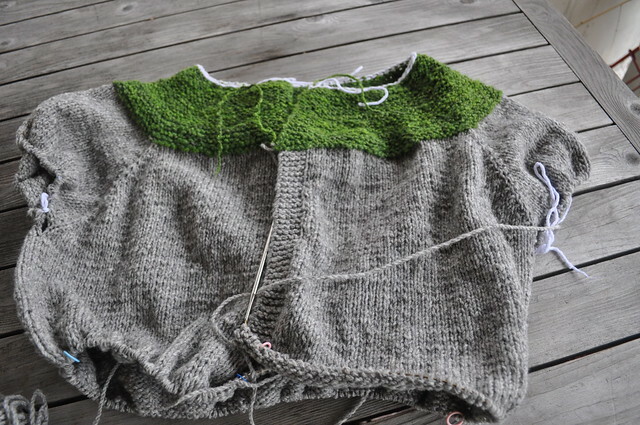 First I tried Shur'tugal but the pattern was completely obliterated by the yarn. So now I'm doing Aquaphobia. But then I got back to my Garter Yoke Cardi and that is monopolizing my knitting time. This is handspun, hand-dyed Shetland in the yoke with Imperial Stock Ranch Columbia 2-Ply for the rest. I took a class on silver fusing just before Christmas last year, and made a necklace and pair of earrings for my sister that I LOVED. I keep wanting to get back to the store and make some for myself (they have a Saturday work party where you can use their torches and equipment for a nominal fee). Thanks for reminding me! Those sock patterns are great. Thanks for the links! (Semi-pun there: I love your link bracelet and earrings too).